Amber color. Aromas of raisins, salted butterscotch, bay leaf, cheese and crackers, and chocolate lady fingers with a slightly chewy, vibrant, dryish medium-to-full body and a hot, stimulating, medium-long flan, orange caramel sauce, sea spray, and brandy soaked apricots finish. A zingy Taiwanese whiskey that brings heaps of dark flavors. 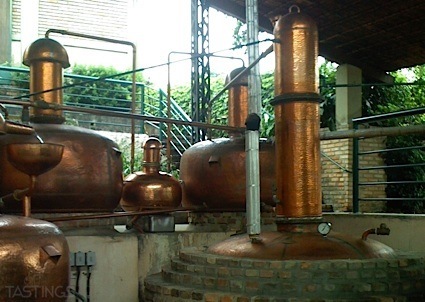 Bottom Line: A zingy Taiwanese whiskey that brings heaps of dark flavors. 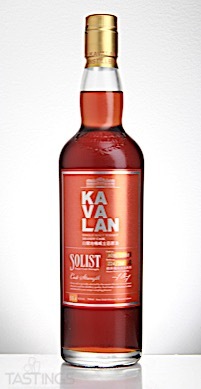 Kavalan Solist Brandy Single Cask Strength Single Malt Whisky rating was calculated by tastings.com to be 92 points out of 100 on 7/27/2018. Please note that MSRP may have changed since the date of our review.